We have arrived in the tiny town of Martizay, France. It’s a whirlwind of activity here, both for our hosts Jackie and John—who are preparing to depart tomorrow morning for the UK where they will stay until late March—and for us, as we unpack our bags, shed clothes we have been wearing for four days, and learn all there is to keep up the farm while it’s under our stewardship. 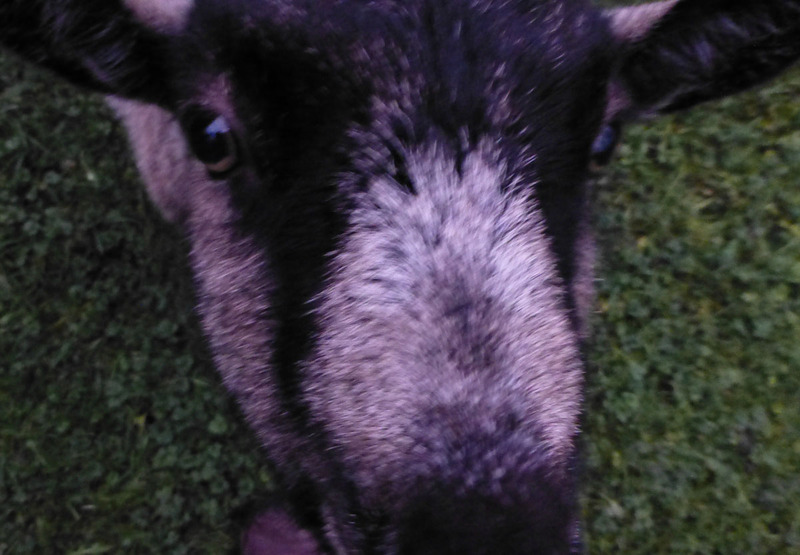 The picture at top is of Biggsy, one of the three goats who are becoming our friends. There are five laying hens—fresh eggs!—and Mimi, a lovable cat who was mistaken for a girl until gender reorientation was completed during his youth. All are charming, especially John and Jackie themselves. 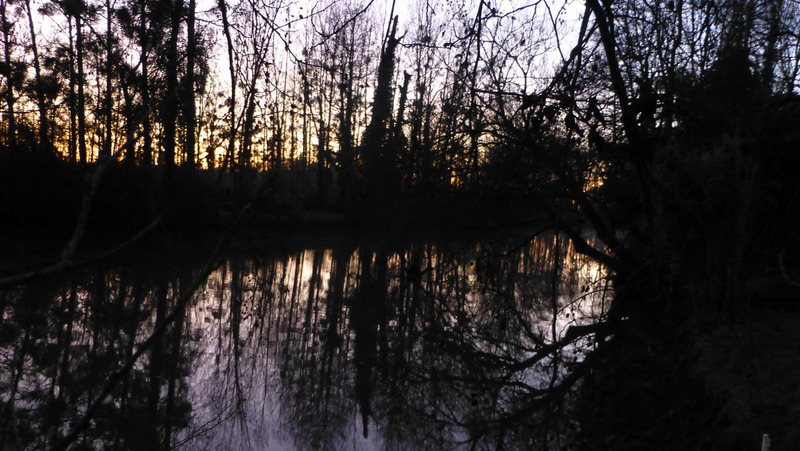 The River La Claise as it appears tonight at sundown. So here we are at a small French country estate, on a riverbank, requiring mud boots, barn coats, pitchforks and wheelbarrows. It’s a striking contrast to the urban life we have been living in Portland, a contrast that we welcome and cherish. Who would ever have thought that goats would enter into your life. We can only look forward to more adventures when you find another long, estate-sitting assignment in the spring somewhere else in France. If all goes well, there could be a book here. What a beautiful picture of the river at sunset , and so close to Paris . Enjoy your time there ! Looks like an adventure! I envy you two. Hope to find such fun when we start our travels. Enjoy!